Just a brief introduction, I am a Metrologist in Florida and have recently started on a BSME. My hobbies pretty much all relate to designing and building things. I have taught myself Solidworks, how to program and run a Haas VMC and will try to learn anything that I find interesting. 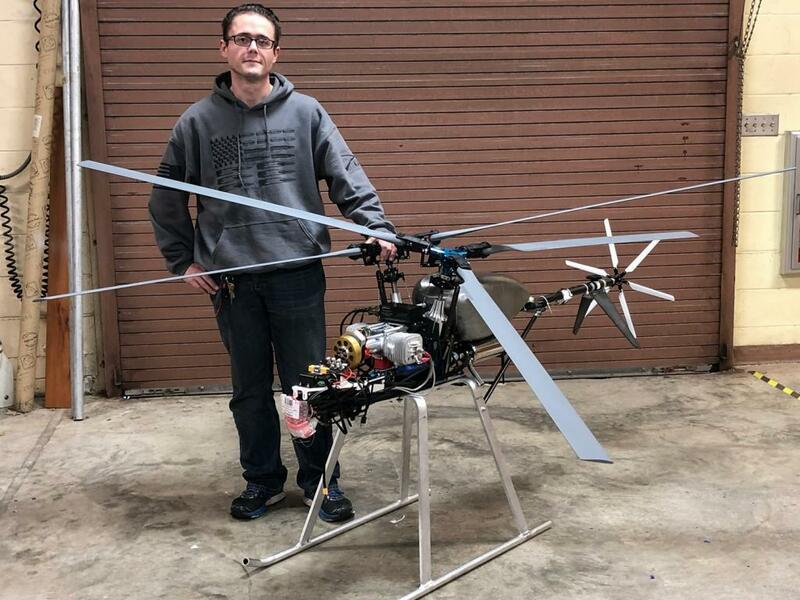 I have been toying with the idea of getting into robotics for a few years and after competing in the 2017 AFRL Commander's Challenge where I designed and built a large Helicopter in 7 months and my team actually got it to hover for about 20 seconds. My success in this competition and the positive feedback from "real" engineers has lit a fire in me to pursue some of my other ideas. So here it is the next project which I hope to slowly make progress on, because as I'm sure you all know robotics parts are REALLY expensive. 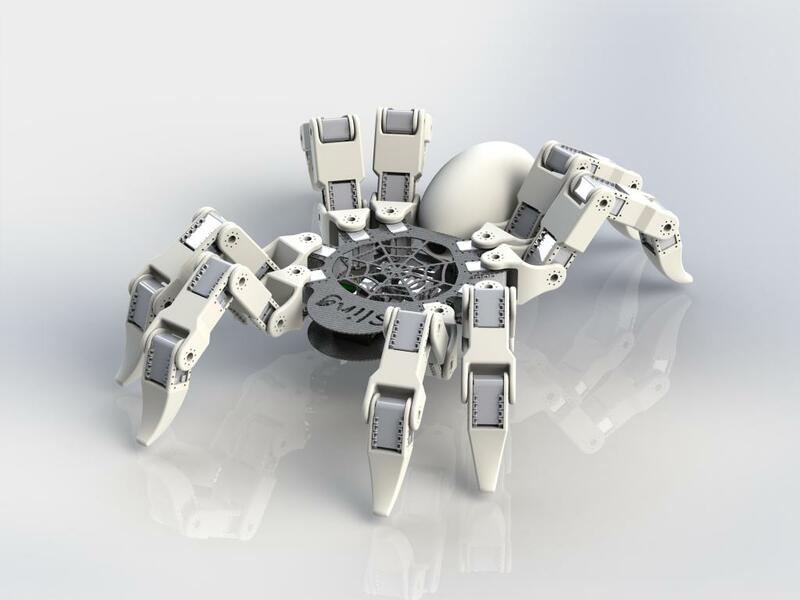 My idea is to create a large robotic spider (like 55" legspan large) running ROS and implementing as much autonomy as I can figure out and/or afford. 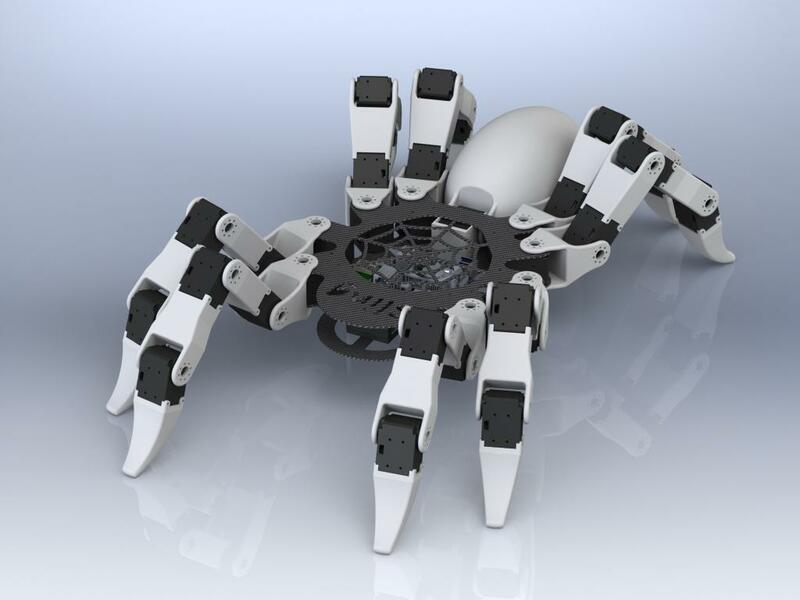 The design uses Mighty Zap linear servos for the Tarsal, Tibia and Femur and Dynamixels for the Coxa. I'm hoping having 2 different TTL protocals won't be too big a problem. 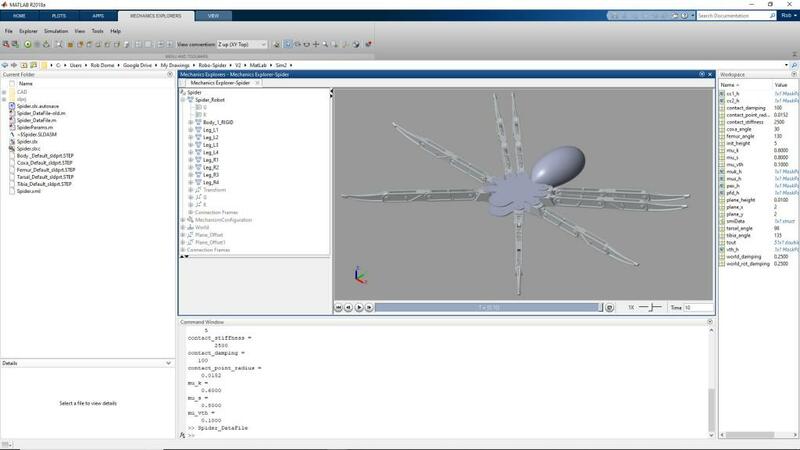 My plan it to import the model into MATLAB and use simulink to do alot of the basics. Granted I'll have to learn MATLAB too, lol. While this is the end goal I know I have ALOT of fundamentals to learn first As such I am looking at buying an AX MkIII with AX-18A servos first. This will give me experience in using dynamixel and TTL servos while being a common enough platform to get assistance and support when needed. Unless the forum has a better recommendation? Got the CAD model imported into Simulink and defined the joints, now I just need to figure out how to properly control them. Not sure what I'm doing wrong but when I input a signal (sine) to the joint it doesn't move. Watched a few youtube vids but they all kind of skip these early steps to focus more in IK, DK etc. Also can't seem to get contact forces right either set them up like the MatLab tutorial on youtube but my model falls through the world plane. Getting frustrated, does anyone have any ideas or links to some good tutorials? As long as you run them on different wires and different serial ports for the host controller, that shouldn't be a problem. Btw, if you don't already know Matlab, and have no particular reason to learn it, you don't NEED to do the basic work there. You can easily do work in a Python notebook, or some C++ code, or whatever other language you're familiar with, and either hook the serial busses up to your workstation, or use a simple serial "forwarder" protocol on your actual controller, assuming it has a connection to the workstation. You might want to do the force/torque/speed calculations on the MightZaps, though. 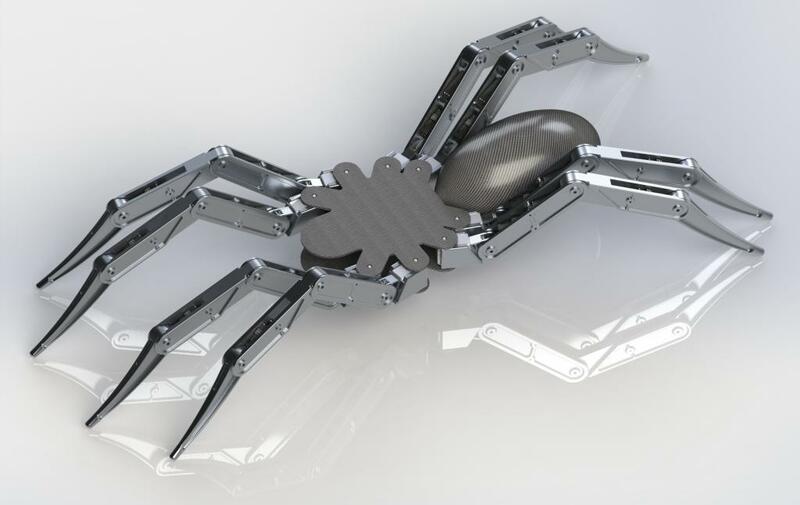 So kinda went back to the drawing board after figuring out the torques required for the large spider Redesigned to use AX-18A servos, so now that it's much smaller (and cuter according to my wife) i'll call it the "Sling" short/slang for spiderling. Looks nice. Do you already have the servos? Well the results look promising... managed to get the weight down below 6 pounds (still have to finalize the parts then generate STL files to run through my slicer to estimate final part weight more accurately than guesstimating each components weight based on percentage of infill in solidworks). I also added another servo for the abdomen to be able to move up and down. Last edited by lutinplunder; 01-09-2019 at 07:47 PM. News/Announcement Member Blogs upgraded to newest version! Just For Fun Vote for your favorite TRC Member! !